When you make the decision to end your marriage, any number of issues may become part of the divorce proceedings, and one of these matters is often the validity of a prenuptial agreement. In simple terms, prenuptial agreements – or, more simply, prenups – are contracts that can layout the terms of how assets will be divided, property will be controlled/distributed, etc. if (or when) married couples divorce. 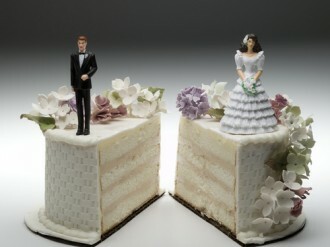 While you may have a prenuptial agreement, there may be ways to dispute it during divorce. For more info, contact the divorce attorneys at Bahr and Kreidle. While prenups used to be agreements that were primarily exclusive to high net worth couples, nowadays, it’s not uncommon that couples with even moderate wealth will enter into these agreements prior to marriage in order to minimize potential headaches in the event of a future divorce. Despite the fact that a married couple may have a prenuptial agreement, however, it does not necessarily mean that this agreement is, in fact, valid or that it will later hold up in court if the couple divorces. Below and in a few upcoming parts of this blog, we will highlight some of the more common ways that prenups can be disputed in court. If you have specific questions about a prenuptial agreement you are a party to or need any help with a family law matter, don’t hesitate to contact the Highlands Ranch divorce attorneys at Bahr and Kreidle. The prenup is an “unconscionable” contract – Contracts are considered to be “unconscionable” in the eyes of the court when they are wildly unfair to one party while the other party seems to profit from them. When the terms of prenups are skewed in a manner that creates hardships for one party while allowing the other party to prosper, it can be argued that this agreement is an unconscionable contract that should not be held up in court. In these cases, the court may consider the prenup to be invalid. Be sure to look for the upcoming parts of this blog for a continued discussion regarding disputing prenuptial agreements. Since 1983, the Highlands Ranch divorce attorneys at Bahr and Kreidle have been helping married couples dissolve their marriages so they can focus on their future. Our lawyers are committed to being aggressive advocates for our clients in any legal setting and to providing our clients with exceptional personal service and the highest quality legal representation. This means that our clients can always count on us to be available to answer their questions, to fiercely defend their rights and to be tenacious about helping them achieve the best possible resolutions to their cases. A choice to work with the trusted Highlands Ranch divorce attorneys at Bahr and Kreidle can empower people and give them confidence that their important legal matters will be resolved as favorably and efficiently as possible. If you need help disputing a prenuptial agreement or with any family law matter, our Highlands Ranch divorce lawyers urge you to get more information about your rights by meeting with us for a free, no obligations initial consultation. To set up a meeting, call us at (303) 794-7422 or email us using the form on this page.